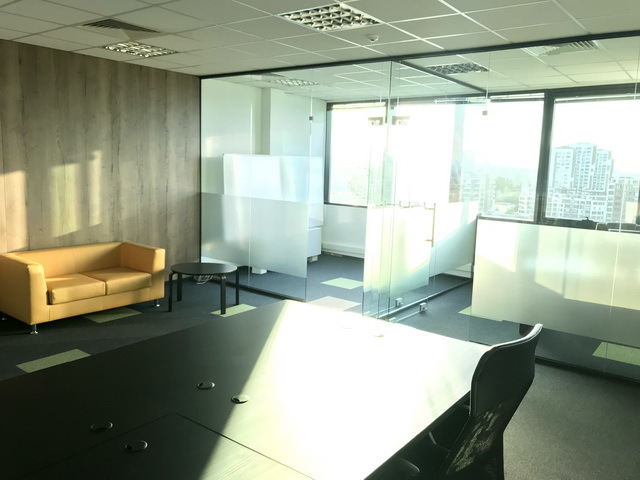 We offer for rent a spacious, semi-furnished and sunny office for rent in Class A Office building on Tsarigradsko shose Blvd, near The Mall. 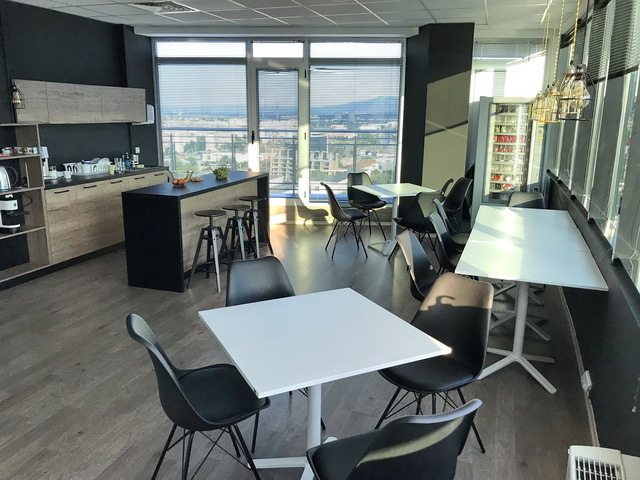 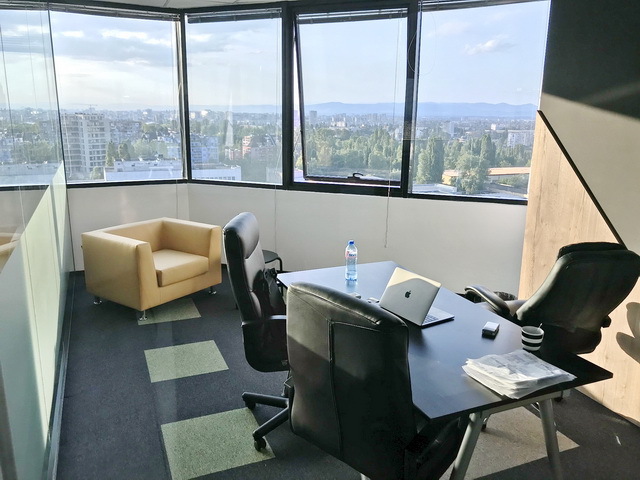 Set on a high floor in the office building, the office reveals splendid views of the city and Vitosha Mountain. 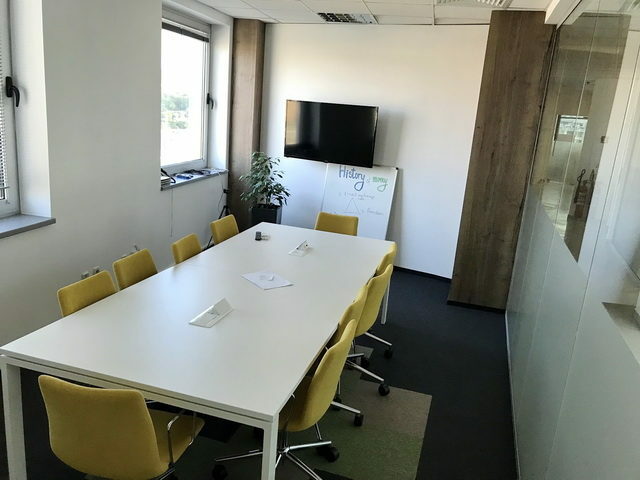 The office has 2 large open space premises, 6 smaller work spaces, conference hall, a kitchen with a recreation area, panoramic terrace, a communication room with capacity of 1 cabinet and available optical connection with 2 large suppliers and 4 WC. 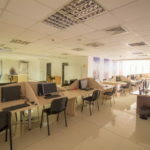 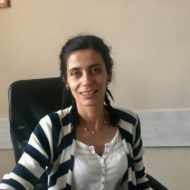 The office may have a different distribution of the office space depending on the needs of the tenants. 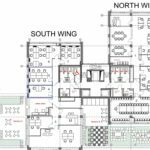 A server room can also be built. 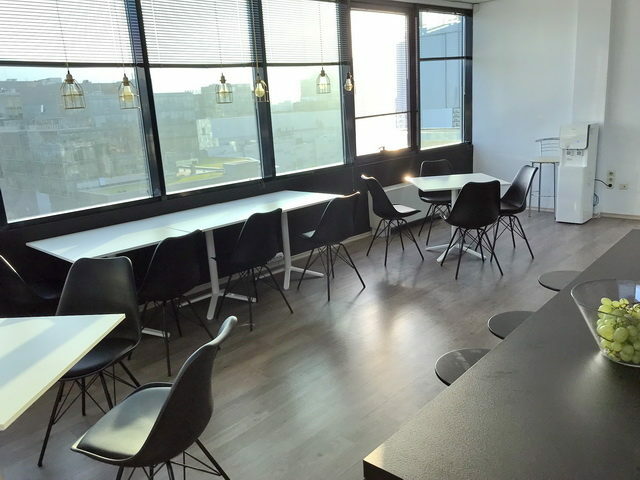 The office is rented semi-furnished, with desks and office chairs, fully equipped kitchen, including a dishwasher. 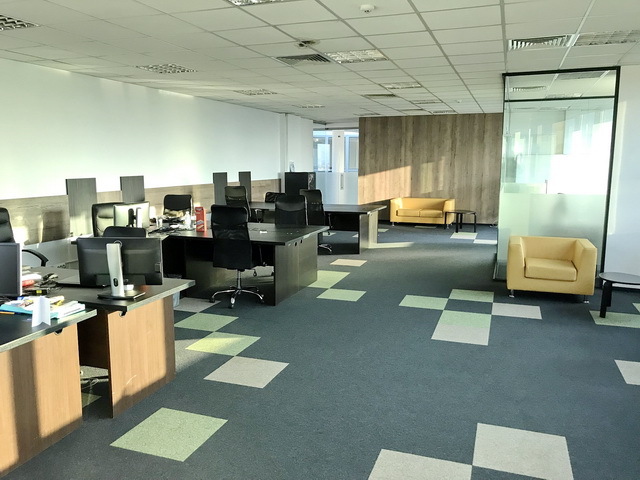 Work areas are provided with carpet flooring, suspended ceilings and blinds. 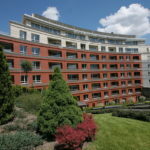 Several parking lots can be rented for an extra charge. 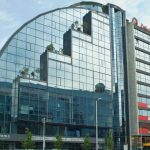 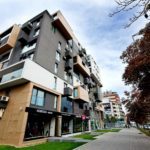 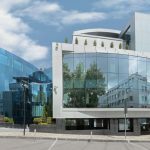 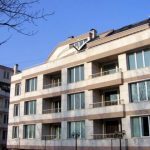 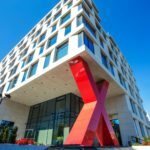 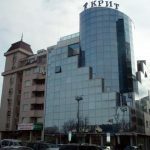 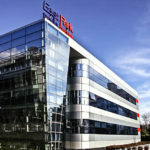 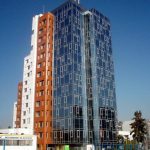 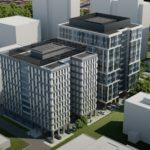 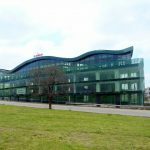 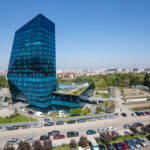 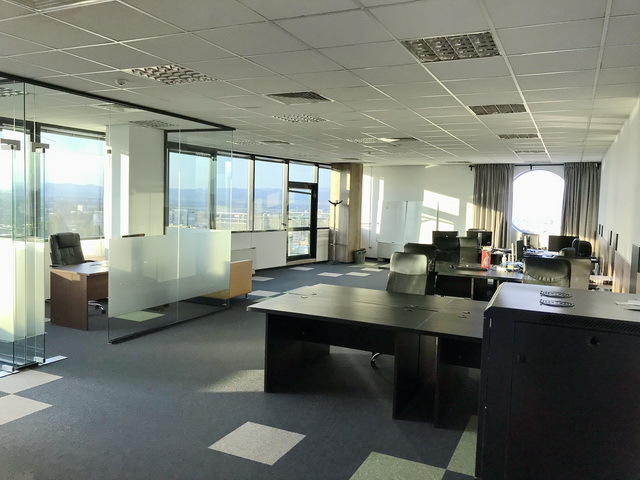 The office building is located in one of the most dynamically developing office areas in Sofia – the area of the Mall on Tsarigradsko shose Blvd., close to Tek Park Sofia and many prestigious office buildings. 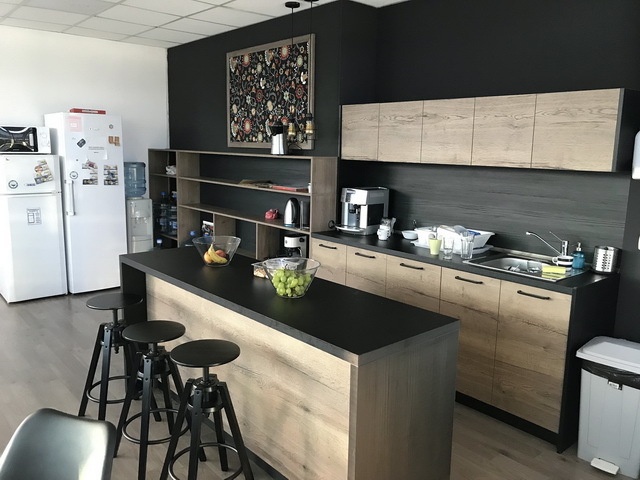 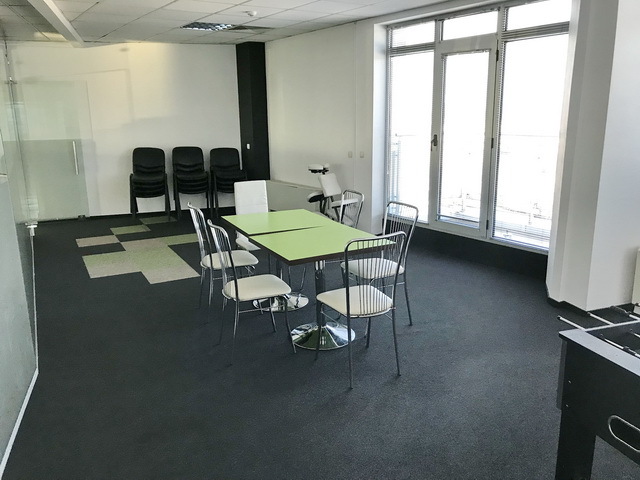 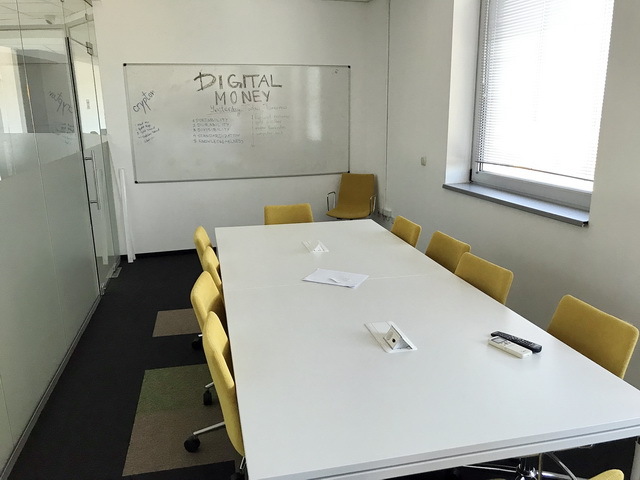 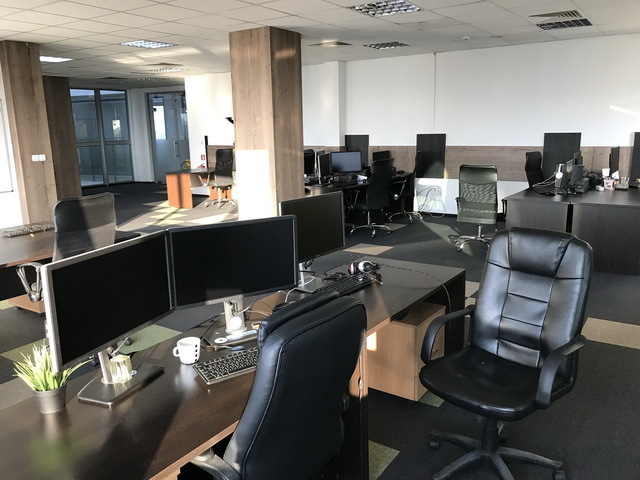 This office for rent provides a quick access to the center of Sofia, Ring Road, Trakia Highway, as well as many public transport stops. 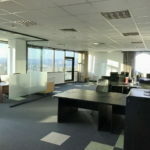 The announced office rent is without VAT! 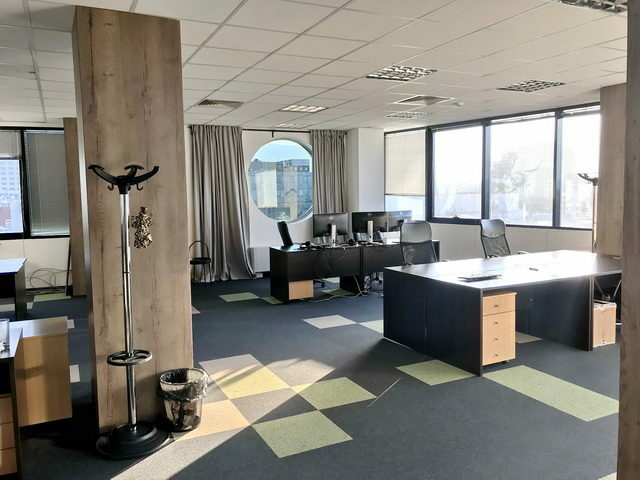 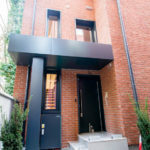 The office is also for sale, for more information, please contact us on info@sofiaoffices.com. 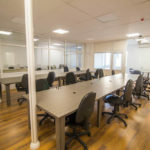 We have smaller offices for rent in the office building as well.